No, that is not a spelling error in the title. I did it on purpose as a poetic device (I guess). My vacation has been good so far. Doing nothing productive and yet productively doing everything. Can you tell I am on vacation. The first night we drove to Colorado, we ended up staying staying just outside Las Vegas (not a part of the plan). We were getting really sleepy so we pulled up to a Best Western in the wee hours of the morning and slept. We were given a free additional night stay so we decided that we would check out Las Vegas. WOW. There is not better name to describe that city, than Sin City. Every possible sin is accessible to you there. 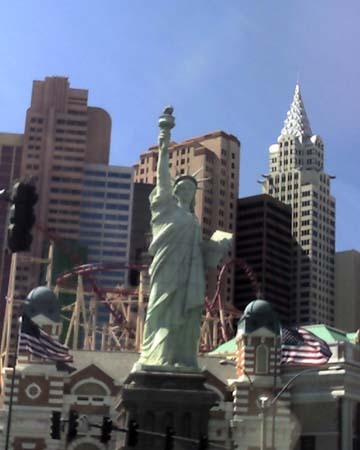 It is symbolically interesting to see lady liberty standing at the passage to this city? I hadn’t realized that I had published this post. 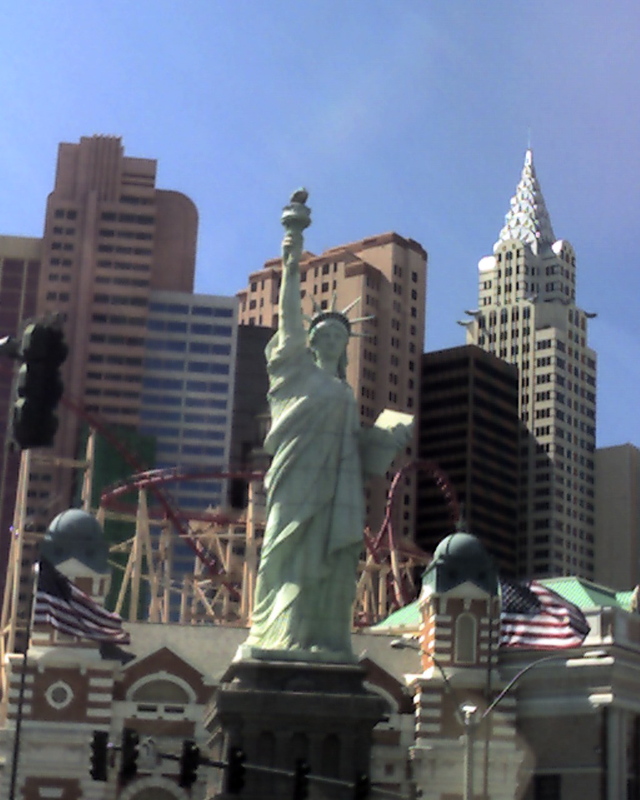 It is interesting that I published the “New York, New York” Casino picture. It is easy to think that when we go to Las Vegas that we have all the freedom to do what we want, given that everything we could possibly want is accessible to us. The common saying, “What happens in Vegas, Stays in Vegas” is ingrained in society. The truth is that what happens in vegas says with us always.